As the clock go forward I find a project for dark winters evenings; A Bee Keepers Quilt. 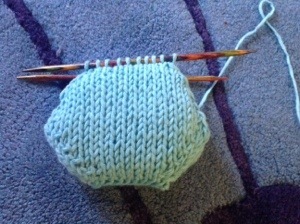 So a called because of the knitted hexagon sections that will (eventually) be combined to make an amazing quilt. Ok, so I know it’s might sound a bit weird but it was more of an experiment than anything else and I’m rather pleased with it. It has a lovely, hand knitted, homemade wonkiness to it!!!!! And it kept me busy over two evenings!!! 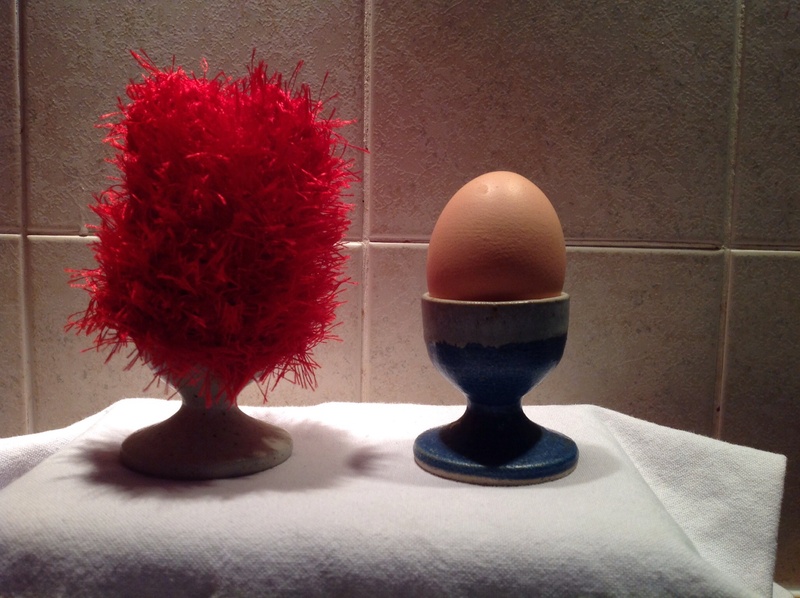 To continue the home made knitting theme, here are some egg cosys I knitted last week, all red n fluffy. Probably not very practical but rather cute. of last nights chocolate mousse I felt it was time to go back to the gym after several weeks (well months actually) off. Not just because of the vast amount of chocolate mousse I ate last night but there is a rumour of a re-run of the charity bike ride that I completed last year and I will need to be fitter just to be able to think about it. Its the pleasure/pain (first the pleasure, then the pain) principle followed by the ‘no pain, no gain’ principle. So, down to the gym for a half hour session (always start slow, you can always do more another time!!) and then home to bake and knit!! I wanted to make mini cupcakes but had no mini cupcake cases so had to make big ones! 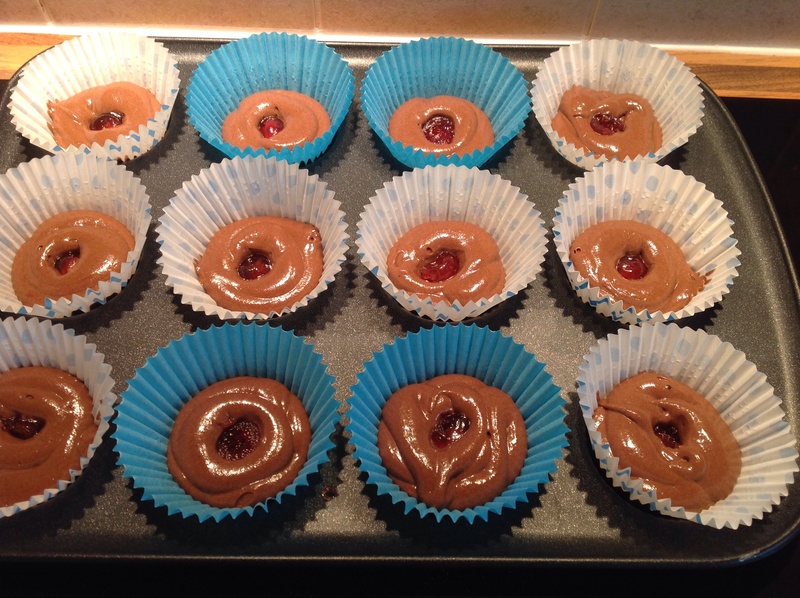 Thinking along the lines of Black Forest Gateau I’ve made dark chocolate sponge cupcakes with a cherry popped inside. I’ve not topped them yet but I’m thinking either a simple piped whipped cream with a sprinkle of chocolate on the top or a piped cream cheese frosting…….will decide on this tomorrow. This is them before the oven. Well, I’ve now made 3 knitted beanie hats for the man who keeps complaining that he cant find a hat big enough in the shops, so he has NO excuse for a cold head!! 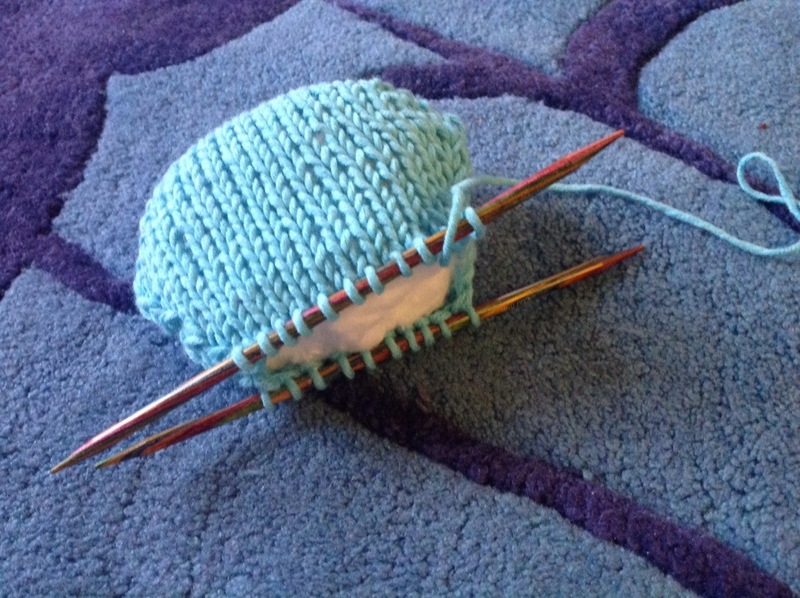 So, what to knit next……. Having had a glass or two of wine last night (another reason for the gym) I decided to K.I.S.S (Keep It Simple Stupid) so, after some internet search decided on egg cosies. Well, how difficult can this be???? Ok, so it’s only one so far but I reckon by the end of the week I will have a family of egg cosies……if only I ate boiled eggs!!!! For those who want to knit; it was a cast on of 15 stitches, very simple garter (knit) stitch, knit for about 18 cm (sorry, I lost count of the rows). 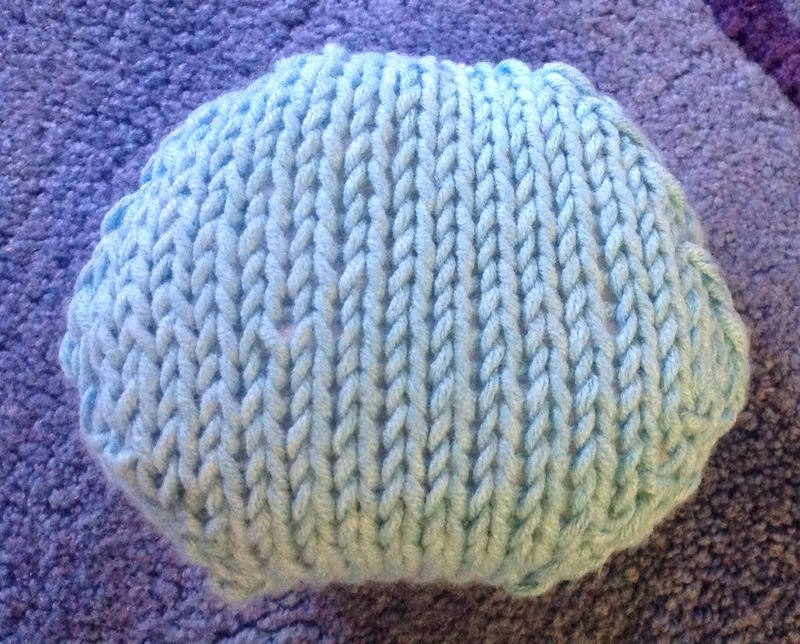 Cast off and stitch up 2 sides, and there you have it; an egg cozy! Very simple and strangely satisfying.